A native of Lafayette, Marshall Montgomery graduated from Lafayette High School, the University of Louisiana at Lafayette and Mississippi College School of Law. His wife, Patricia Ann Montgomery, is also an attorney. They have two children. Mr. Montgomery serves on numerous boards for community and civic organizations. Mr. Montgomery and his family attend church services at The Bayou Church. Mr. Montgomery offers to his clients an extensive legal and practical experience in the workplace. Before beginning his law practice Mr. Montgomery audited banks for the State of Louisiana, managed real estate properties, sold insurance, and while attending college, moved land rigs, drove 18-wheelers and worked offshore as a roustabout and roughneck. Marshall Montgomery is a member of the Louisiana State Bar Association, Lafayette Parish Bar Association, and the Paula Woodruff Family Law Section of the Lafayette Parish Bar Association. He is also admitted to practice before the U.S. District Court for the Western District and Eastern District of Louisiana. Mr. Montgomery currently serves as a Board Member on the Lafayette General Medical Center Membership Committee. He is an officer for the Krewe of Bonaparte and a member of the Mississippi College School of Law and University of Louisiana at Lafayette Alumni Associations. Mr. Montgomery is also a life member of the Multi Million Dollar Advocate Forum. Marshall Montgomery is a past Board Member of the Alzheimer’s Association, the Young Men's Christian Association (YMCA) of Lafayette and Lafayette Parish Bar Association. He is also a past member of the Louisiana Association of Defense Counsel, National Association of Security Dealers (NASD) and Lafayette Parish Board of Realtors. 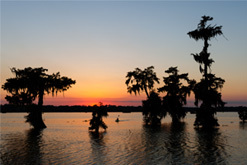 He has held licenses with the State of Louisiana in real estate and insurance sales. Mr. Montgomery enjoyed many years of service as a Lafayette Little League Coach including post season All-Star and tournament play. No information on this site should be used as legal advice.